I’ve never noticed that the coffin shaped thing on the Gorge Block Chardonnay label is a clever label cut out. It’s the little things that make the difference and Chapel Hill are cluey on the details. This looks just a little touched up by the warm vintage. 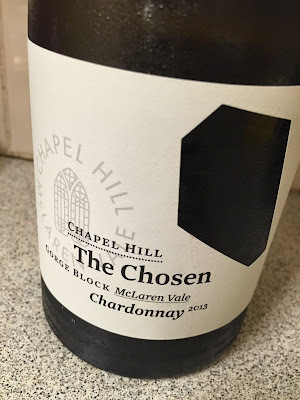 It smells tightly contained, but a robust, butter and biscuits Vale Chardonnay is just lying under the surface itching to get out. It tastes of grapefruit and lemon spice and nouguat, the fruit full and ripe despite some raw and hard acid. Actually, that’s the challenge here as it is both raw and full all at once. Plenty of classy winemaking, but the balance just isn’t there.